This actually dates back at least a couple months, but no one really talked about it in our community until now. 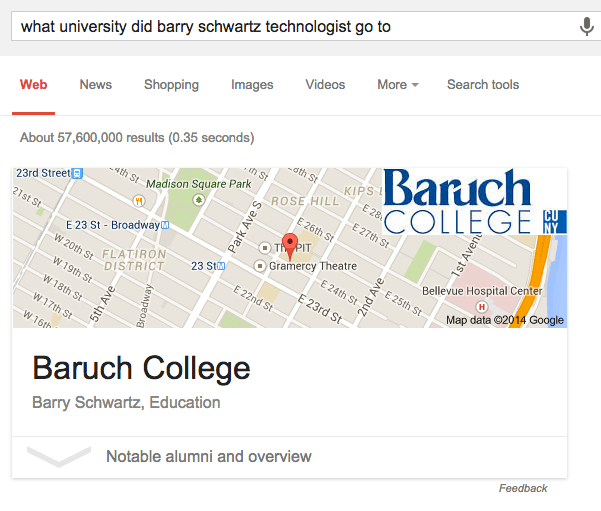 That is, the Google Knowledge Graph "Notable Alumni" carousel. A WebmasterWorld thread has one user saying "it's not inaccurate, but the ordering of them is pretty odd." How does Google get this information? If I had to guess, most Wikipedia profiles on people do include what university they went to. 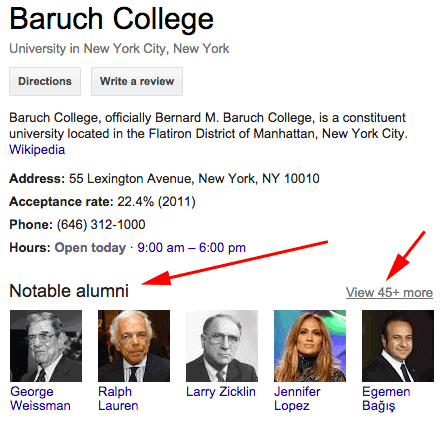 For example, Ralph Lauren's Wikipedia profile contains he went to Baruch College and so does mine. If you click through in the footer to all the alumni, you are taken this this page that contains them all. I assume that is where Google gets this data.